My next shoot is with young Freya Cooney from Woodbridge. On first sight, meeting a 16-year-old, 6ft 2in tall redhead clutching a basketball under her arm was a little unnerving, but I was soon charmed by this very gentle, and very striking young lady. 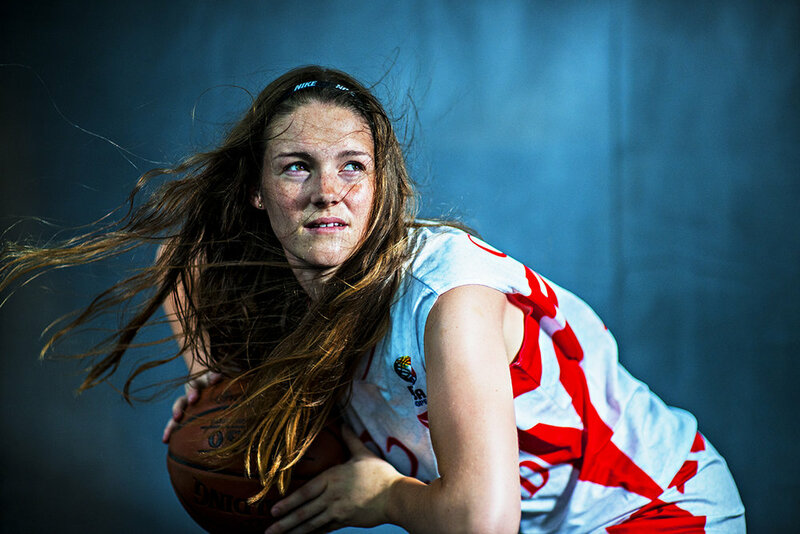 England U19's Basketball player from Woodbridge, Suffolk. Freya is one of the countries leading basketball players and has represented Suffolk county and England at all junior levels. She now plays with England's U19's squad and is enjoying every minute of her time spent with the older and more experienced players. 'I suppose I learnt my basketball skills at Farlingaye High School in Woodbridge. It was my Sports coach Mr Haughan who saw my potential and pushed me forward for trials'. Freya smiles while remembering how Mr Haughan encouraged and coached her at the school, helping Freya into the performance pathway for talented boys and girls. Freya's talents didn't stop at Basketball; she also played Netball and Cricket with the East of England County teams. 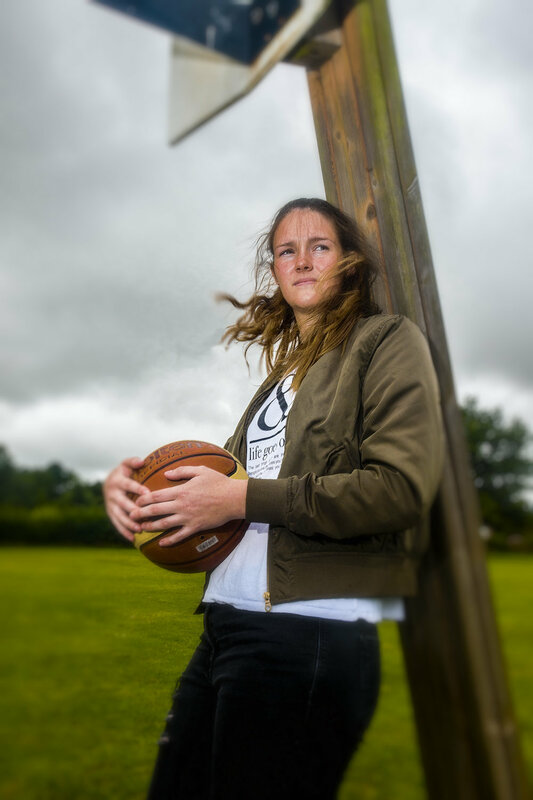 But it was through Ipswich Basketball Club which led to Freya being chosen for trials at the full England team when she was just fourteen, this proved pivotal for her. 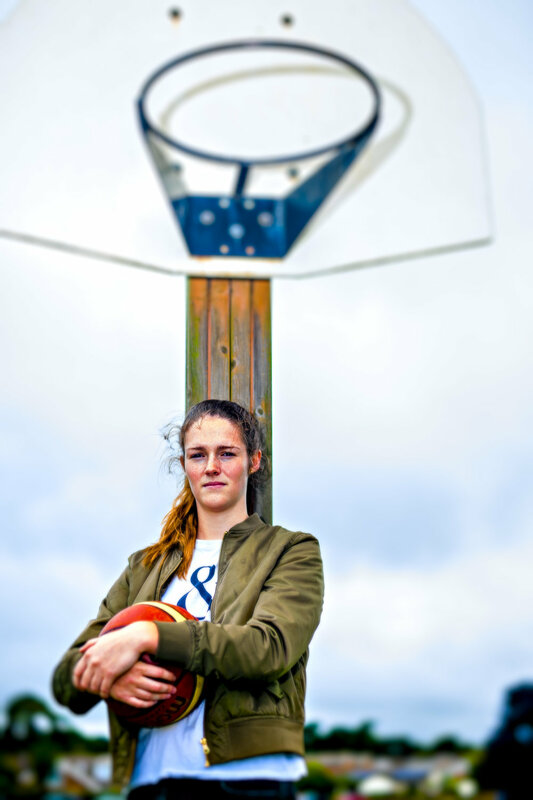 While attending Woodbridge School, where she stayed for three years, she had a decision to make; which sport to pursue, but her passion has always been with basketball. Another causality was that Freya had also to abandon the Saxophone which she loved playing. 'I use to do so many other things, which I've had to give up because of the sport, and it's been tough what with all the training and gym work I've had to do. I wasn't even able to socialise with my friends, but I knew that I have to give up all these other things to concentrate on my sport. I really enjoyed playing netball and cricket and missed being with all my friends'. 'At Woodbridge school, as I've mentioned, I missed out on so many other activities because I either had to go to the gym or basketball training. The school were very accommodating; they let me go to basketball early. Little things like school trips I miss out on because of my England duty. I even missed seven weeks of Fridays because I was always abroad playing for England in tournaments. But, I think I’ve done ok with my exams, I obviously don’t know at the moment, my results haven't come in yet, but I've worked really hard on my revision, and feel that I've done the best I could have possibly done. Freya went on to represent England at Under 15's, and Under 16's and also while still 16, she played a year above for the Under 18’s. Freya plays in the 'Power forward' position, a position which doesn't exist in the men's game. During the England trail, from 30 players selected, they were then wilted down to 12 over this period. Freya was lucky enough to be chosen for the squad throughout the very competitive and intense weekend trials. Freya researched many Universities and the scholarships in America and received dozens of replies from Universities up and down the country. 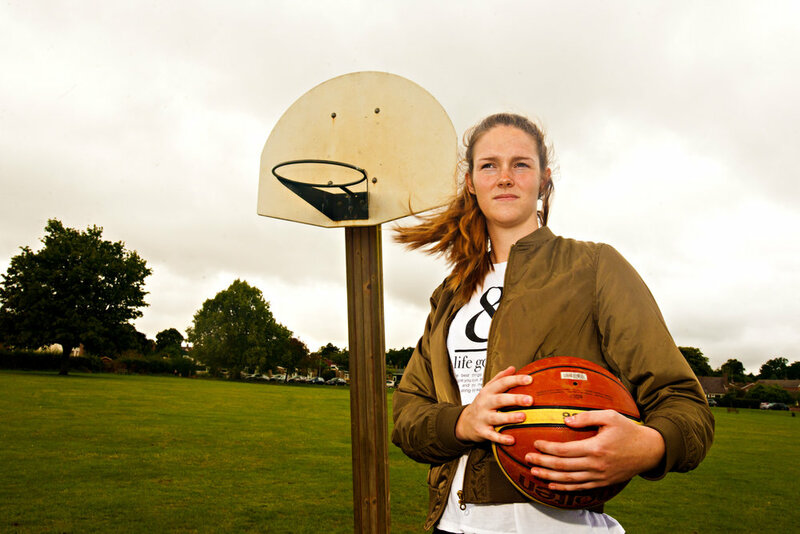 From an early age, Freya knew that she needed to get a scholarship if she wanted to play Basketball at another level. 'I researched the best Uni's and even the best coaches, as this is of particular importance if you want to progress in this sport. I even had to produce a couple of videos. One showing me playing in a full game and then a mixed tape, a kind of greatest hits video from different games that I've played in'. At ﬁrst, my parents weren't too pleased with me choosing basketball. My mum loves Netball, and my Dad loves me playing Cricket, and they were initially shocked that I got into the England team set up, so they began to take it a little seriously. My Mum actually screamed when I told her about being selected to play for England. My friends are also really happy for me, they have known that going to America is something that I’ve wanted since I was a child'. I notice that for someone as tall has Freya, she moves quite effortlessly, tucking her long legs elegantly beneath her as we sit and talk. 'I've received some great replies from Universities all over the States, but I eventually chose an offer from the Franklin Pierce University in New Hampshire. It was a free full scholarship which equates to $50,000 per year for four years, which is just perfect. It's also a University that's in Division 2 which was what I was looking for; they are more in my comfort zone. This means that I may get more time on the court and be able to help the team more, as supposed to a Division 1 team where I might not get enough playing time due to the calibre of players they already have'. Freya goes on to say 'The American Universities look at your GCSE results and my SAT score which is a test that every student that wants to go to the States must take. It was a ﬁve-hour long test involving English and maths. I got into the top bracket with my results for a full scholarship, with means academic and sports funds for the full four-year term'. I ask Freya about any big aims she might have for her future. 'Because, up until now, I've achieved what I've always wanted to do, it's all now a new journey for me. I'm not sure if I want to play for one of the top teams in the states, it depends on a lot of things. Like if my game improves, my technique and skill set or whether I get scouted or recruited by a leading team, or whether it's somewhere that I want to go. But, I could just as easily head back to Europe to play basketball or even get into sports management, I’m not sure yet, it's four years away for me now, so I have a lot to experience ﬁrst'. The future is indeed looking bright for Freya, in which every direction she decided to take.